What is a Baby Sunburst Squash? Baby Sunburst Squash, one of many varieties of baby summer squash, used to only be found in restaurants and home gardens. It is now grown widely in California and Mexico. 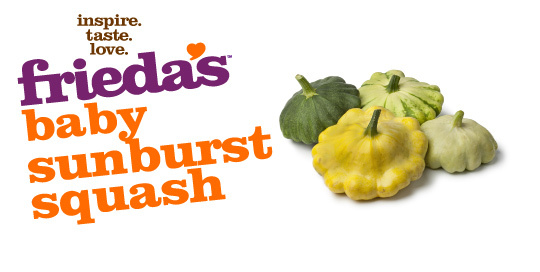 Named for its distinctive star shape, Baby Sunburst Squash has a mild squash flavor and soft tender texture. Steam, sauté, boil or add to veggie platters for dips, chop into salads, or add to soups. Add whole to stews and casseroles or skewer for kebobs on the grill. Rich in vitamin C and low in calories. Choose firm, plump, and unblemished squash. Internet Explorer users may not be able to view the following video.